Out on the farm life is quiet. The cow and horse are out on pasture while the tractor is taking the hay load to the barn. The crane lifts the hay up onto the loft. 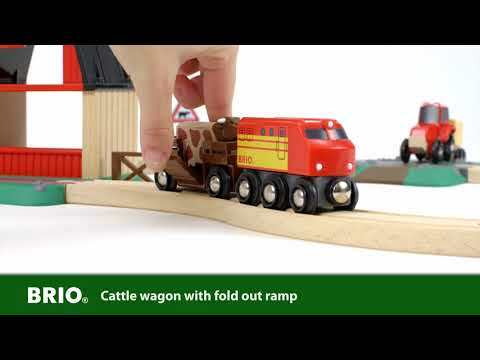 When it's time for the animals to move indoors place them on the wagon with help from the fold out ramp and transport the wagon with the farm engine. Order from UK to send to my gorgeous little Nephews who live in Aus! !